Trantec has designed and manufactured a range of materials for the Pharmaceutical industry. We provide the highest quality powder handling equipment for this industry and lead the way with our innovation. We offer a range of different products for this market – Screw Feeders, Powder Samplers and Augers. Due to strict legislation there are certain requirements that are put into place. Complete containment of product – No bug traps and equipment must be completely air tight. This is to avoid cross contamination. CIP and SIP (Clean-in-Place and Sterilise-in-Place). Strict hygiene standards and regulations to be followed. Stainless steel machinery must be used for the construction of the machinery. All Trantec pharmaceutical screw feeders are manufactured from 316 stainless steel and are welded with a ground crevice-free or mirror (0.2Ra) finish to ensure a contamination-free process be in place. 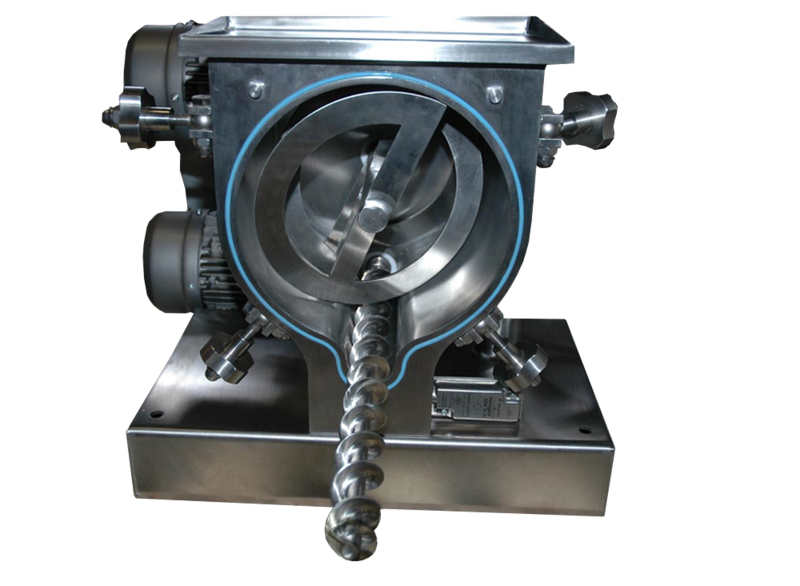 You can find out more by visiting our screw meter feeder section on our website. Pharmaceutical Augers have to be produced with careful precision and accuracy so they meet the requirements and have a polished finish. Sometimes there are cases where fabricated augers can suffer from defects; this is why we manufacturer pharmaceutical augers in stainless steel with helicoid flights welded onto a central core. Sometimes fabricated augers can suffer from several of the following problems. Uneven flow patterns are produced which can affect accuracy – this is why Trantec augers are produced using computer controlled machine tooling boasting accuracies exceeding 0.01mm in diameter and pitch. The stainless steel resists this corrision and forms a thin passive film – chromium oxide. Trantec manufacturered augers do not suffer from these problems, as not only do our augers not require any welding but there is very little, if any, straightening required for post production.